But what? In the acres of coverage today and in recent weeks, I have not seen a lot of psychology. I have been looking: I am the editor of The Psychologist, it's my job. Who / what could I commission to write for us? I'll be honest, I can't face another piece on psychological debriefing, on the effects on children of their homes being bombed. Surely psychology can be more than the ambulance chaser? Are we really resigned to remaining quiet as the bombs fall, only emerging later to mop up the mess? Can we turn to 'Peace Psychology' for ways out of a seemingly intractable war? The great Ed Cairns wrote for us on this many moons ago, but is peace psychology ill-equipped to deal with the modern world, where many people characterise those we are fighting as 'extremists', who cannot be reasoned with? Does the solution rest with the next generation? Can we understand 'the psychology of violent extremism', and is it a useful tool in cuting off the problem at source? So - at the moment - I am not looking for more articles on the impact of war and trauma on children. Can psychology actually tackle the root causes and / or work to resolve the ongoing conflict? Psychological research has established that a basic psychological need of victim groups is to restore their autonomy and sense of control (Nadler & Shnabel, 2008). This is reflected in our impulse to desire revenge following exposure to victimisation. But these impulses may be managed and even suppressed when questioning the goals and unintended consequences of such vengefulness. Bombing Syria will be received as an act of revenge for the Paris attack, even though Western governments may not have intended it as such. Its goal to prevent Western citizens from future similar attacks is doubtful. In fact, the bombing may reveal the West’s moral inconsistencies (e.g., business relationships are maintained with countries such Saudi Arabia and China which have a high record of beheadings and other human rights violations) and its ethnocentric biases toward valuing ingroup versus outgroup lives differentially (e.g., bombing Northern Ireland was - thankfully - never considered as a strategy to eliminate the terror threats posed by the Irish Republican Army; see also Pratto & Glasford, 2008). And staying closer to psychology, would we have had this special feature in the Psychologist had ISIS not attacked Paris? Di: Good morning Ed. We miss you, you know. Can you spare me a moment? I have a query here from Jon Sutton [Editor of The Psychologist] that I would like to discuss with you. He is deeply concerned about the current situation, the bombings in Paris, Beirut and elsewhere and the decision in the UK to bomb Syria. He thinks that you would have something to say, but wonders why the rest of us are silent. Ed: This is more than one question, Di. “Does psychology have relevance to understanding and responding to the situation?” is one. “Why don’t psychologists speak up?” is another. Di: What about the first? Ed: We know a great deal about structural and direct violence, we can say much about the cyclical process that escalate conflict and we know that the trauma of war affects both those who attack and those who are attacked. We also know quite a lot about the way young people are recruited into rebel groups and how the process may be reversed. Di: But is peace psychology still relevant? Aren’t members of ISIS so extreme that we cannot negotiate with them? Isn’t this a new form of war? Ed: History is replete with examples of extremism. The Buddhist monks who burned themselves in protest against the South Vietnamese government, the Khmer Rouge under Pol Pot, the Spanish Inquisition, Fascism in Germany, the Apartheid regime in South Africa, the Klu Klux Clan in America to name a few. I am sure you can think of many other examples. Di: So although the context has changed there are still continuities with the past? Psychological understandings still apply? Ed: Yes, one of the main differences is that the violence is in our own backyard, something we understand in Northern Ireland. You Aussies go off and fight in other places and expect the war to stay “over there”. Di: I guess you are right about that. Is there anything we can do to improve the situation? Ed: Well, the key to success is working together. Those of us from other faiths need to work to understand and build better relationships with Islam, so we can stand together against all forms of violence. If we focus only on ISIS and do so by means that alienate the vast majority of Muslims, we may win a battle but will certainly lose the war. Di: What about the second question? Why are we silent? Ed: Well I must say the silence of the psychologists is making me cross. There are a few things in the epistemology of the discipline that contribute. One is the focus on individual psychology. Earlier psychologists, like the psychoanalysts, recognized the importance of communities and societies but the prevailing fashion is to look at individuals as the unit of study. Having this micro focus makes it difficult to comment on global affairs. Another is the need for empirical data. Don’t get me wrong I did empirical work myself. But if we must always wait for the data to come in before warning against a course of action it may be too late to change the course of action. Also the emphasis on the present in psychology sometimes robs us of the lessons of the past. Our discipline tends to de-contextualise, and so it is not too surprising if we find it hard to comment on contexts. Di: Another reason for silence is the close link between American Psychology, which is very influential around the world, and the military. It is difficult to speak out against bombing if you are employed by the armed forces. Like other APA members (I’m an international member of APA like you were Ed) I was shocked by the findings of the Hoffman Report, which revealed the complicity of psychologists in the development of torture techniques but if we had stopped to look back and reflect the important role of the army in the history of psychology was there all along. Now, you studied children. What do you think about this so called radicalisation process where young Muslims are lured away to fight for ISIS. Is there anything we can do to intervene? In Australia we are planning more extreme measures like refusing re-entry to Australia even though the fighters hold Australian passports or locking people who are deemed to be a terrorist threat up for life. Ed: Drawing on past experience we know that punishment is not necessarily effective, that rewards are more reliable in shaping new behaviors. Do you know examples of converting militants back to functioning in civil society? Di: Yes, there was a conversion program in the Philippines, where rebel soldiers were re-employed into the armed forces of the government. And I know former child soldiers from African countries who are not only well-settled and productive citizens in Australia, but are also becoming peace workers. Ed: So no need to give up hope? There might be ways to intervene in the process that leads youngsters to take up their weapons and help reconcile them with their communities. Di: Yes. You know what worries me most is the way those who protest against Islam here in Australia (they call themselves Australia First) are starting not only to sound like ISIS, they are even beginning to look like ISIS, wearing combat gear and flags across their faces. Ed: You know your word allowance is more than used up. Di: But there is so much more to say. Ed: So don’t remain silent any more. Noor, N. & D. Christie. (2016). Themes in peace psychology research. In Bretherton, D. & S. F. Law (Eds.) Methodologies in Peace Psychology: Peace research by peaceful means. 43-70. Pilisuk, M., M. Anderson-Hinn & G. Pellegrini. (2016). Ethical objectives and values in peace psychology and social justice research. In Bretherton, D. & S. F. Law (Eds.) Methodologies in Peace Psychology: Peace research by peaceful means. 139-155. Roe, M., Bar Tel, D., Dawes, A., Giles, M., Hamber, B., Montiel, C., Salamon, G., Wessells, M., Barret, M., Bretherton, D., Gallagher,E., Hakvoort,I., Moeshberger, S.,Muldoon, O.& Trew, K. (2014). Professor Ed Cairns: A Personal and Professional Biography. Peace and Conflict: Journal of Peace Psychology. 10 (1) 1-10. Hoffman, D. H. , D.J. Carter, C.R. Viglucci Lopez, H.L.Benzmillar, & A.X. Guo. (2015) Report to the Special Committee of the Board of Driectors of the American Psychological Association. Independent Review Relating to APA Ethics Guidelines, National Security, Interrogations and Torture. Sidley Austin LLP. Available through APA. I feel the last thing we (the US and the West) should do is send in troops, as that appears to be exactly what they are hoping to draw us in to. I think one of the more hopeful signs - other than the Vienna talks on Syria - is this moderate Muslim movement in Indonesia, Nahdlatul Ulama. The world needs resistance and push back against violent extremism from inside Islam. It needs to offer potential recruits another equally compelling vision. I do feel that the West should do all it can to exert pressure on the Saudis to cut funding to Wahhabism in all its manifestations. This is the source. Finally, I also think that some of Hillary Clinton's proposed policies (24 step plan) can provide more immediate responses to contain ISIL. But ultimately, the US and the West more generally, need to learn from the the six former heads of Shin Bet, the Israeli security agency, interviewed in the documentary The Gatekeepers. They all, to a man, come to the conclusion that the more sophisticated they get at military tactics (such as our use of drones), the farther away they move from their strategic political goals. I highly recommend this film. Readers may also be interested in my essay on what America can do to reduce its own violent tendencies, and my essay with Andrea Bartoli on dealing with extremists. Political responses to the November 13th attack on Paris have been swift, dramatic and decisive. But an important question is whether these responses are proportionate, reasonable and strategically appropriate or whether they are knee-jerk, or even politically opportunistic, reactions to momentary fluctuations in public sentiment. Research suggests that, by changing the way we view human relationships, shocking terrorist events might promote a reactionary lurch, but that reaction does not have to be an enduring one. What we all have to live with, however, are the political and policy decisions that follow. The Syrian refugee crisis throughout 2015 clearly affected public opinion across Europe, and certainly in the UK, to become more wary and fearful about immigration. It created a climate in which border control was already becoming a significant issue. Throughout the summer a series of horrendous terror attacks orchestrated by ISIS fuelled a more retributive political rhetoric which strengthened support for nationalistic political parties. By the end of 2015 the British Parliament had approved a widening of bombing strikes to Syria (a primarily symbolic gesture of solidarity with France's 'war' on ISIS). However, in some ways there is more to learn from the UK's orientation to France than its views on ISIS. There was a striking shift in the Government's orientation to European unity. The general election campaign had been dominated by debates on immigration and border control. Heralding his strategy for renegotiations prior to the Euro referendum, on November 10th David Cameron gave a speech articulating how Britain was so different from the rest of Europe, how we had different objectives, needs and positions on many things. He stated, 'The commitment ..to an ever closer union is not a commitment that should apply any longer to Britain. We do not believe in it, we do not subscribe to it'. Yet by November 14th, one day after the attacks in Paris, he was declaring to France that 'your values are our values..more than ever we should come together and stand united'. This apparent volte face can be readily explained by simple psychological principles. Almost all terrorist attacks are followed by shock and then a political proclamation of the defense of society's core values. Often these are framed in terms of protecting a decent society in which everyone is treated fairly and equally. Yet, in the face of a common enemy the illusion of an idealised society (one in which true, correct and pure principles are upheld) emerges through a particular form of cohesion, which can be labelled 'rivalrous cohesion' (Abrams, 2010). By focusing on a common enemy, one's group, region, nation or continent finds an empowering common focus that obliterates important differences in perspective and creates a sense of unity and consensus. This form of cohesion is essential to mobilise armies, win competitions and so forth but it is also potentially dangerous as a vehicle for extreme group polarisation and intensification of conflict. What can psychology offer here? It is important to recognise that there are other forms of cohesion. Harmonious cohesion is a state in which humanitarian principles and shared valuing of all individuals predominates. This is likely to arise in societies that do not face significant economic pressures, in which there is less inequality, and when there are few or no significant external threats (Abrams & Vasiljevic, 2014). The road to harmonious cohesion is gradual and gentle but it requires the promotion of empathy, the sharing of superordinate identities and multiple cross-cutting identities, thereby limiting simplistic categorisation of 'them and us'. Sustaining and nourishing this slow route to cohesion is hard, particularly as the route to rivalrous cohesion is potentially much faster and easier. Rivalrous cohesion is likely to be a response to uncertainty, particularly uncertainty over where threats reside, who our friends are and so on. If we accept the argument that core psychological needs include those of belonging, meaning, control and esteem (cf. Williams, 2009) we can readily see how the threat arising from a terrorist attack elevates all of these, and how rivalrous cohesion helps to satisfy them all. In fact, and rather strangely, even in a society where almost everyone strongly believes in equality, fairness and justice, people show both types of cohesion at the same time. When they consider non-threatening groups such as older people, women, people with disabilities and so forth they adopt a 'benevolent' attitude, advocating promotion of more equality of opportunity, treatment and rights, and behaving more generously towards those groups. However, when they consider groups that potentially challenge majority values or way of life they withdraw these advantages (Abrams & Houston, 2006, Abrams, Houston, Van de Vyver & Milicevic, 2014). Rivalrous cohesion exists and can be expressed by people on both the political right and political left (witness the infighting in the Labour Party). But reactions to terrorist events may cause a population shift to the right not just by hardening the resolve of 'hawks' but by weakening that of the 'doves' to accept the rivalrous cohesion agenda (Nail al, 2009). This greater malleability means that although doves may be engaged by rivalrous cohesion, but are likely to return to their core values. The risk is that, in the ebb and flow of political opinion, decisions are made that set a trajectory that accelerates rivalrous cohesion when that may not in fact reflect the more enduring priorities of the population. Psychology's role in all this is to alert both the people in general but in particular those who are making critical policy judgements and decisions, and who may be responding to immediate pressure from public opinion, that there is a potential cost to pursuing rivalrous cohesion, a cost that should not be under-estimated and that should be weighed carefully against the losses that may damage hard won harmonious cohesion. Abrams, D. (2010). Processes of prejudice: Theory, evidence and intervention. Equalities and Human Rights Commission. Research Report 56 (118 pp). London, EHRC. ISBN 978 1 84206 270 8. Abrams, D., & Houston, D. M. (2006). Equality, diversity and prejudice in Britain: Results from the 2005 national survey. Report for the Cabinet Office Equalities Review October 2006. Williams, K. D. (2009). Ostracism: A temporal need-threat model. In M. Zanna (Ed. ), Advances in Experimental Social Psychology, 41, (pp. 279-314). NY: Academic Press. Economist and Peace and Conflict scholar Kenneth Boulding used to lecture about the ‘Law of Political Irony’ – Many things you do to hurt people help them and many things you do to help people hurt them. That is exactly what is happening with ISIS. We are bombing them in an effort to weaken or, ideally, even destroy them. However, this action is actually making them stronger – and us weaker. ISIS's worldwide terror strategy is designed to instill fear and hatred of ‘the other’ across the globe. And that’s working – just look at the U.S. Presidential candidate Donald Trump, and the astonishing support he is receiving for his broad anti-Muslim rhetoric, suggesting that all Muslims be at least temporarily forbidden from entering the United States. But, when we so label and lash back at ‘the other’ – who most often are not ISIS terrorists, but all people we fear might be such (as in all Muslims, or even all people with brown skin) – we create more animosity, fear, and even hatred. That drives more people join ISIS, and the escalation spiral takes off (Pruitt et al., 2003). No doubt, the ISIS leadership is what we call ‘incorrigible’ – they have an apocalyptic vision, and they can't be negotiated with using either competitive or cooperative (‘win-win’) negotiation. They have to be isolated, delegitimised, and disarmed. But the vast majority of Muslims are not incorrigible. They may not share our values; we may disagree with many of their beliefs; but if we allow them to live as they choose, most of them will allow us to do the same. ISIS can’t be defeated with outsiders bombing because the ‘backlash effect’ will take hold – for every ISIS operative we kill, we will create several more by deeply angering people whose homes we have destroyed (Burgess et al., 2004). If we assume that all Muslims or ‘brown-skinned’ people are our enemies, they will, indeed, become so, as people don’t usually befriend people who demonise them. Many Muslims fear ISIS as much as we do, and those people are essential allies if we are to successfully fight ISIS both at home and abroad. Locals have the knowledge of who is and who isn’t a threat; they have legitimacy and credibility on their home turf. We don’t – we are interlopers (with a bad reputation, by the way). In short, what ISIS is trying to do is drive an escalation/dehumanisation spiral to the point of producing a catastrophic and apocalyptic war between the West and the Islamic world. Our central objective should be preventing this strategy from working. Bombing civilians in the hope of killing a few (or even many) ISIS operatives likely will do the opposite. Pruitt, Dean, Jeffrey Rubin & Sung Hee Kim (2003). Social Conflict: Escalation, Stalemate, and Settlement (3rd Edition) McGraw-Hill Education. Can psychology contribute to tackling the root causes of violent extremism? And can it contribute something meaningful to resolving what currently seems to be an intractable conflict? I believe it can, and have been conducting research into just how. This year I’ve been working with cognitive scientists and anthropologists at Oxford University’s Institute for Cognitive and Evolutionary Anthropology (ICEA) and the Centre for the Resolution of Intractable Conflict (CRIC) in designing and conducting science-based field studies into the mechanisms (both psychological and social) of radicalisation in the Middle East. There is a pressing need for empirical peer-reviewed research in this area. The US and UK spend tens of billions on munitions and equipment, and yet almost nothing on scientific research to understand the phenomenon they are fighting, and which poses a grave threat to world security. In 2010, the anthropologist Scott Atran (a co-founder of CRIC) in a statement before the US Senate argued that we have no sustained, systematic scientific research that will enable us to understand the ‘motivation, intent, will and the dreams’ of current or would-be violent extremists (Atran, 2010). Five years on (and many atrocities since) we still have no programme of research and no coherent vision. However, the situation is changing. 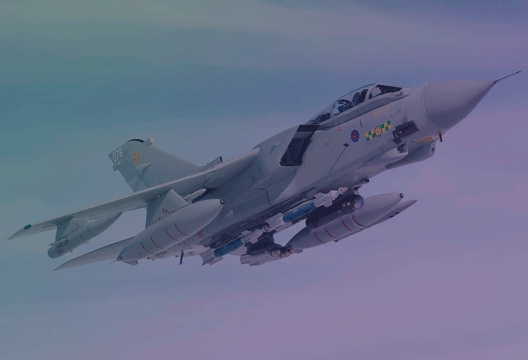 The UK Ministry of Defence recently invited applications for research outfits to competitively register on their Military Strategic Effects (MSE) Framework. The MSE will commission research into what the military term Target Audience Research and Analysis, or TAA. TAA is a scientific, deductive approach to understanding the motivations, norms, values and beliefs, rituals, decision-making processes, and other psychological and social (group) features of potential ‘audiences’ in the fight against terrorism. The ultimate objective in conducting TAA is to gain insight into how to craft the most effective interventions to change behaviour. Clearly psychology has a huge role to play in this. There are major academic and applied research efforts in large-scale behaviour change. Most of this research is carried out by psychologists, such as Susan Michie’s team at UCL’s Centre for Behaviour Change. The CBC is focused on health behaviours; and the much-publicised Behavioural Insights Team is focused on behaviour change for policy. Yet the same high quality science that is the hub of these units can also be applied to understanding the allure and the behaviours of terrorist networks and how to design credible, evidence-based, measurable interventions to weaken them. To that end, the MSE has just requested bids to conduct research in a Middle East country to better understand the pathways towards radicalisation, and how to develop communication interventions that might effectively influence potential recruits to choose otherwise. In writing a section of this bid on the ‘psychological drivers’ towards radicalisation, I was struck by the paucity of experimental and field-based scientific research into the mechanisms of radicalisation. In a comprehensive systematic review, Christmann (2012) presents several broad process theories, but there is little psychological insight into the mental and social process that “push” and/or “pull” an individual further along the pathway of radicalisation. And where there is such insight the necessary empirical support is lacking. That’s why scientific field research conducted as close to terrorists as is possible is so vital. In my research I work directly with an organisation that specialises in field research in the Middle East. Although run by an Oxford-educated Arabist, the organisation employs heads of research who are trained social scientists, proficient field-researchers, and themselves Muslim. Each research lead heads a team of social science researchers who are drawn from the country in which we are conducting research. These researchers administer our surveys, interview schedules and (increasingly) tablet-loaded quasi-experimental tasks in the very communities where military intelligence suggests extremists originate. Recently, our team collected survey data from 200 males in Benghazi in an effort to better understand the processes that lead to Identity Fusion – tight, visceral bonds that have been shown to bind together people who have shared dysphoric experiences (e.g. Whitehouse et al., 2014). Understanding the cognitive and social processes (and the external stimuli) that trigger identity fusion is vital if we are to understand the mechanisms that bond radicalised individuals together, because evidence suggests (e.g. Christmann, 2012) that youths are drawn to extremist groups because their personal identity conflicts may be resolved by submission to a greater ideal. This kind of psychologically informed science-based research will be necessary to fully understand the radicalisation pathway, which is likely a complex interplay of personal, social and external factors. Together with our research team in the Middle East, and backed by traditional academic and military funding, my colleagues and I at Oxford are hoping to extend this work in the near future into Yemen, Syria and Jordan. Our aim is to generate a reliable and rigorous body of empirical research that illuminates the pathways to and from violent extremism, and the psychosocial factors inherent in that transition. Success in this endeavour will require considerable resources and an interdisciplinary approach that is backed by academia, the military and Middle East partners. I feel this research is necessary, urgent and justifiable. Social scientists of all stripes can do more than mop up the mess: we may be able to lay the foundations for preventing the spilling of blood in the first place. Atran, S. (2010). Pathways to and from violent extremism: the case for science-based field research. Can psychology find a path to peace? Not alone, but there is much we can do to promote effective psychological approaches for people affected by armed conflict and war through our knowledge of preventive strategies to promote mental health. Children are the most vulnerable victims of war; parents and caregivers, their first line of defence. As the Syrian crisis unfolded in 2011, we were working on a PhD in the Parenting and Families Research Group at The University of Manchester [Rachel as supervisor of Aala El-Khani]. We reorientated the work on parenting in Arab families to address the needs of parents and families displaced by conflict. The conviction that this was the right thing to do was bolstered by findings from Kabul, Afghanistan (Panter-Brick et al., 2011) showing that warm, non-violent parenting reduced risk of mental health difficulties in children. Aala studied the needs and challenges of refugee parents and the development of tools to strengthen families and provide psychological first aid, working qualitatively with parents on the Syria-Turkey border and consulting refugees in Manchester. Parents said they needed new skills - or to remember old ones lost in the stresses of flight - to cope with their children’s behavioural and emotional changes, as well as their own. We have worked closely with Bill Yule, Patrick Smith, Atle Dyregrov and Unni Heltne, and the Children and War Foundation’s widely used Teaching Recovery Techniques programme for children (Yule et al., 2013), augmenting this with additional content on parenting skills. The combined, brief 5 session TRT plus parenting programme has been piloted with families in Turkey on the Syrian border, in preparation for larger-scale evaluation. Feedback has been enthusiastic, and parents describe sharing new skills with other families. Face-to-face programmes often require training and sufficiently stable settings for delivery. A worker in a non-governmental organisation, Watan, on the Syria -Turkey border, suggested disseminating parenting information into conflict zones via existing humanitarian supply routes. By putting leaflets and questionnaires into flatbread wrappers distributed to families already identified for humanitarian relief, we were able to send information to 3000 families in a conflict zone in Syria. We were, frankly, astonished to receive back 1783 questionnaires (return rate 59.5 per cent) showing largely positive evaluations. Free text comments written by 400 parents and caregivers made clear that they thought the information was useful. Importantly, they valued knowing that they had not been forgotten. Whether such information makes a difference is an empirical question. These approaches can contribute to a public health model of provision for humanitarian contexts (Mollica et al., 2004). The risks associated with changes in behaviour and neurobiological priming for survival occurring in harsh conditions (Miller et al., 2011) should make psychologists eager to promote the need for early intervention to help families foster children's mental health. That is one important contribution psychologists can make to a more peaceful future. With Wellcome Trust support we have shown the needs of families and potential solutions through exhibitions and film. Links to information and resources are below. Mollica, R. F., Cardozo, B. L., Osofsky, H. J., Raphael, B., Ager, A., & Salama, P. (2004). Mental health in complex emergencies. The Lancet,364(9450), 2058-2067. Yule, W., Dyregrov, A., Raundalen, M., & Smith, P. (2013). Children and war: the work of the Children and War Foundation. European Journal of Psychotraumatology, 4. We hope to publish more contributions here in due course. Please comment below, or email the Managing Editor Dr Jon Sutton on [email protected].